I have a few copies available of my Doctoral Thesis which we have self published. At the centre of this research is a debate about the relative merits, assumptions and consequences of holisitic healing versus natural healing versus allopathic western medicine. In it are stories and voices of research participants living with a cancer diagnosis that both demonstrate the consequences of these different healing approaches and provide an example for others on what treatment choices and illness meanings promoted healing and what promoted suffering. Exceptional, long term survivors are well represented and one academic examiner described the research as “a true joy to read”. Another described it as “fascinating and often illuminating.” The original thesis was awarded a distinction, which is a rare mark of extra credibility, particularly as both examiners headed cancer research institutes in the U.S. and Canada. This eBook details research that I undertook and which was awarded a first class honours degree, leading to a scholarship for doctoral research. This research follows the journeys of six people living with a cancer diagnosis who were using meditation as part of their healing strategy. In addition to their stories, I have added in more of my experience with meditation and how it promotes physical, emotional and psychological healing. At the end of each chapter there are suggested reflections for the reader and a meditation to try. 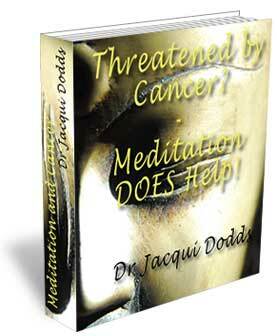 Throughout the book there are guides to different ways of practicing meditation and healing one’s life. In addition, there is a bonus offer of MP3 audio recordings of (1) a purification and healing meditation and (2) a loving kindness meditation. If you, or someone close to you, have had a cancer diagnosis or any life threatening or disabling illness, then take a look at this eBook. Taken by “the Welfare” at the age of two from a harsh, neglecting single mother, Raelene’s childhood was marked by institutional Welfare ‘receiving homes’ and a succession of foster parents. 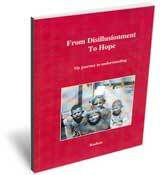 Driven to suicidal despair at nine, twelve, thirteen, seventeen, eighteen and again at 41, 42, 45 and 46 years old (when I met her), the strong, warm spirit that has kept her a faithful wife and loving mother, throughout her adult years, shines through her journey of discovery, recorded in this book. This book is therefore a message to all therapists and to all of us touched by mental illness.